Click here for an interactive Story Map that shows the response efforts conducted at the Wendover Canyon Derailment Site. 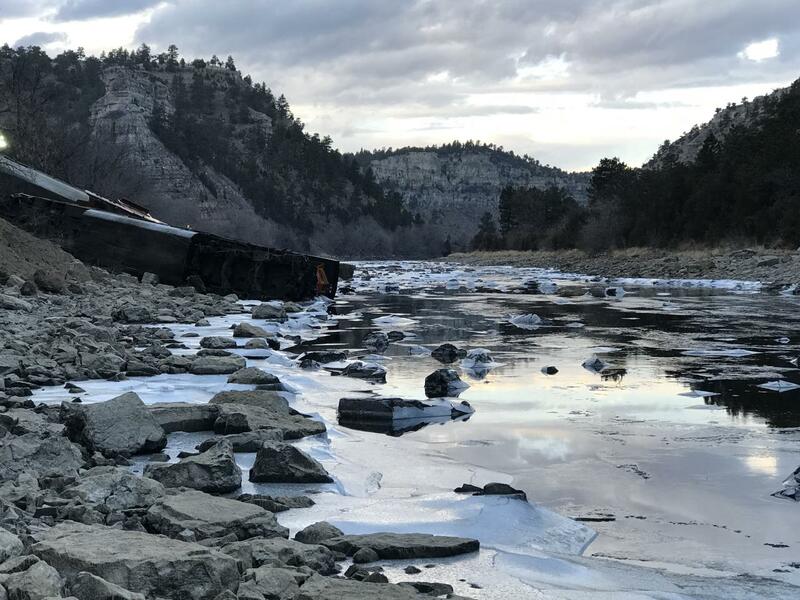 On February 4, 2019 two BNSF trains transporting coal collided in a remote canyon of the North Platte River near Guernsey, Wyoming in Platte County. 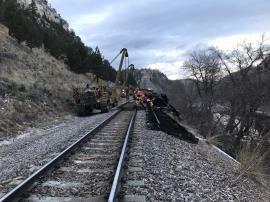 Three locomotives and four coal cars derailed and as a result of the accident a mixture of diesel and oil was discharged from the locomotives into the North Platte River. 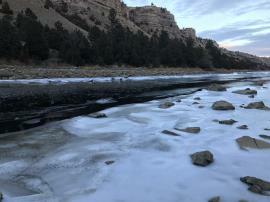 The river is at low flow and currently, the icy conditions have limited impacts to the river to a few hundred yards downstream of the accident. Water from an upstream reservoir was shut off to reduce flow in the river and boom has been deployed in two locations just downstream of the accident site and a third booming location has been established 2.5 miles downstream. 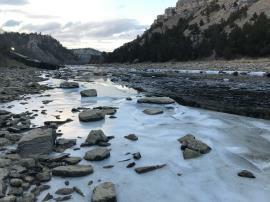 Both the Wyoming Department of Environmental Quality and USEPA deployed On-Scene Coordinators to the incident to provide oversight and coordinate an environmental assessment and response activities. A Map is available for viewing GIS information.